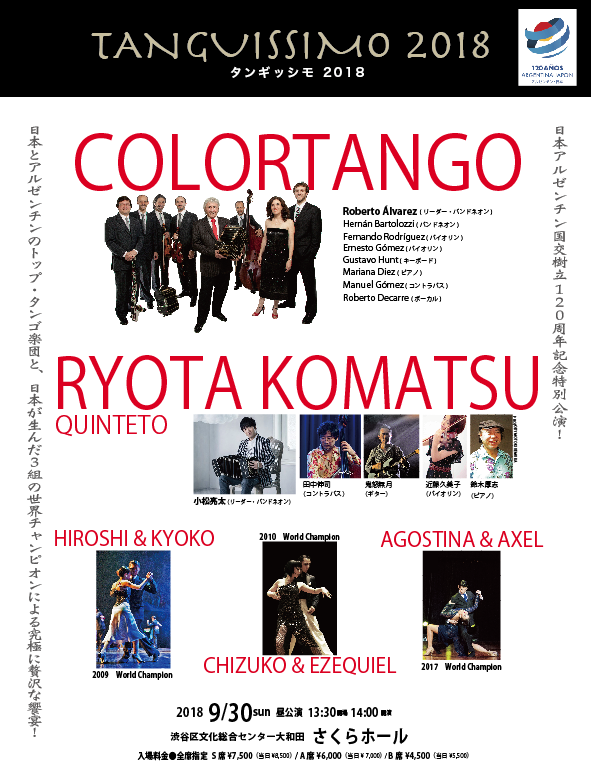 The Orchestra Color Tango by Roberto Alvarez is, since 1990, one of the key figures of the tango scene. From its beginnings and uninterruptedly, has performed in the most important theatres and tango festivals worldwide and has received numerous awards. Their repertoire consists of own compositions and arrangements, plus interpretations of great successes of the orchestra of Osvaldo Pugliese. Roberto Alvarez, who has been for many years lead bandoneon and arranger in the orchestra of Pugliese, is now considered, along with his orchestra Color Tango, as the main followers of style and imprint of the great master, characterized by their strength and expressiveness . The 11 CDs released by Color Tango are heard and danced in milongas all around the world. Special editions have been made in countries of North America, Europe and Asia. The main tango-dance teachers have choreographed their music for many different shows. The musical activities of Color Tango by Roberto Alvarez have been declared of Cultural Interest by the Ministry of Culture of Argentina.